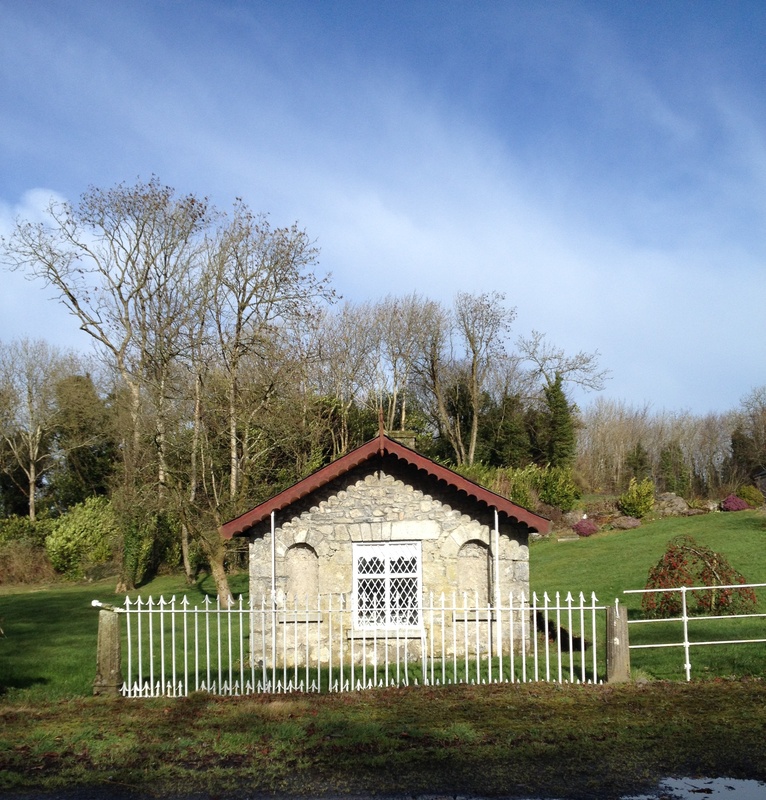 The gate lodge at Rockview, County Westmeath. It must date from around the same period as the main house, built in the early years of the 19th century for a branch of the Fetherston-Haugh family. With just a couple of rooms, the lodge is a more humble residence but its exterior has been aggrandised by the presence of arched recesses framing the mullioned window. A pair of very slender wrought-iron columns support the eaves and add further interest to this side of the building. This entry was posted in Architectural History, Country House, Westmeath and tagged Architectural History, County Westmeath, Georgian Architecture, Irish Country House, Rockview. I am new! and I am completely in love with this site! Is this a place one can lease? Thank you for getting in touch – and for your enthusiasm for the site, which is very much appreciated: please tell your friends and help to spread the word about Ireland’s treasures.